Wind Vector Limited was founded in 2005 to create OS X and iOS applications filling small specialist niches not already addressed by other developers. In 2014 the business was taken over by Coherence, which has the same ownership. Coherence now focuses on consulting services—helping startups with their business needs—and the software development business is currently dormant apart from maintenance work. Nevertheless, if you have any suggestions for applications that you would like to see, please feel free to contact us. We are available to do contract development work. 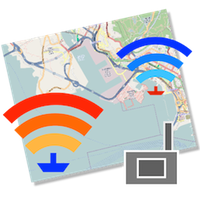 PassagePlus is a passage planning, navigation and ship tracking application aimed at the leisure sailing market. 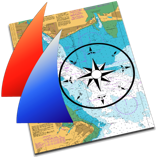 To the best of our knowledge it is the only Mac OS X application compatible with the UK Hydrographic Office's ARCS charts, Land Information New Zealand's NZMariner charts and the Australian Hydrographic Service’s AusRNC charts. Sadly, we no longer consider it appropriate to market PassagePlus actively because the above chart series either have been or are about to be withdrawn. The exception is the ARCS Navigator service, which continues but is targeted primarily at the commercial shipping sector rather than the leisure sailor. PassagePlus continues to work for existing users. For those who found the detailed website useful, you can download the legacy PassagePlus website here in zipped format and access it from your computer's hard drive. You can also still download the latest release of PassagePlus here. 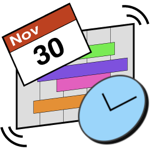 Juggle helps you organise projects and keep them organised easily as things change. It lets you juggle connected tasks in a controlled way. It is deliberately simple, yet highly flexible and surprisingly powerful. We no longer actively market this product since many other good outlining tools are now available both for computers and mobile devices and it cannot be considered a niche product. For anyone interested you can download the legacy Juggle website here in zipped format and access it from your computer's hard drive.